The case goes back to the 9th Circuit Court of Appeals. LiMandri: Cross stays put till then. The petition filed by the Mt. Soledad Memorial Association requested the Court to grant review, by-passing the appeal pending before the Ninth Circuit Court of Appeal. The Court declined without an opinion. Justice Alito published a separate statement explaining that denial of the petition does not represent a final decision on whether the Supreme Court will ultimately grant review. Rather, Justice Alito noted that because the Ninth Circuit has not ruled on the appeal from the U.S. District Court decision ordering the Cross destroyed, there is “no final judgment” on which the Supreme Court to Rule. Further, he pointed out that because the U.S. District Court ordered a stay pending appeal, the Cross will not be destroyed as the appeal process continues in the Ninth Circuit. 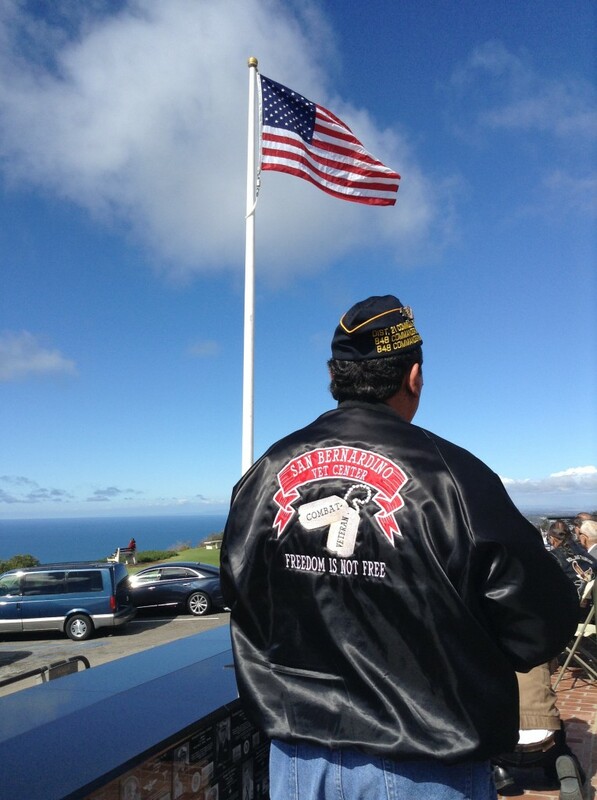 Veteran overlooking the Pacific Ocean from atop Mt. Soledad, home of the Veterans Memorial. Justice Alito, in issuing his statement clarifying that the denial of expedited review is not a final decision on whether to grant Supreme Court review, noted again that the “ ‘Court’s Establishment Clause jurisprudence is undoubtedly in need of clarity.” Few constitutional law practitioners would disagree. Justice Alito’s statement is published at 53 U.S. ____(2014), and is below in its entirety for convenience. “It is an unfortunate delay. It means going through the Ninth Circuit Court of Appeal processes. This is what the Supreme Court wants, and what the government wanted. So, instead of a delay of perhaps one year, we may be waiting two or three years. “But it is not ‘bad news.” They are not saying they won’t take the case ultimately; just not now,” LiMandri said. “The good news is that the stay is in effect pending appeal. So the Cross isn’t going anywhere, and we believe we will ultimately prevail based on statements made by the Justices and rulings in other cases,” LiMandri concluded. There is also a possibility of legislative action to preserve the Mt. Soledad Veterans Memorial “where it is, as it is,” with the Cross intact. Rep. Duncan Hunter (R-CA), a combat veteran and former Marine, has a bill pending to preserve all veterans memorials. Further, the legislative solution reached which saved the Mojave Desert Veterans Memorial may be a precedent for saving the Mt. Soledad National Memorial. That is, the ACLU sued for ten years to destroy the Mojave Desert Veterans Memorial Cross, established in the remote desert in 1934 by WWI Veterans of Foreign Wars members to honor their fallen WWI comrades. When the ACLU obtained an order from the U.S. District Court in Riverside, CA, to destroy the Cross in 2002, then-Congressman Jerry Lewis (R-CA) sponsored legislation in which Congress authorized a land swap in which the one-acre Mojave memorial site was exchanged for five acres of land donated by private citizens, Henry and Wanda Sanchez. The Supreme Court ruled in 2010 that that land exchange did not violate the Constitution. Although the ACLU continued to sue for two more years, claiming that the Act of Congress was itself unconstitutional, the ACLU ultimately surrendered in 2012. The Mt. Soledad Cross was established in 1954 to honor Korean War Veterans. Later, it became a memorial honoring all veterans. There are now more than 3,000 plaques, many bearing crosses or Stars of David, on the walls of the memorial beneath the 29-foot Cross honoring all veterans. The extremists of the ACLU, which has become the Taliban of American liberal secularism, have been suing to destroy the Mt. Soledad Veterans Memorial Cross for 25 years now. In 2006, a U.S. District Judge in San Diego ordered the City of San Diego to tear down the Cross in 90 days or he would impose a fine of $5,000 per day. Congress responded by passing the Mt. Soledad National War Memorial Act, which transferred the memorial from the City of San Diego to the federal Department of Defense. Because the ACLU had sued to destroy the Cross in federal Court but under the California Constitution, that transfer nullified the cross destruction order. ACLU sued to destroy the Cross again, this time under the U.S. Constitution. A different U.S. District Judge in San Diego ruled that the Mt. 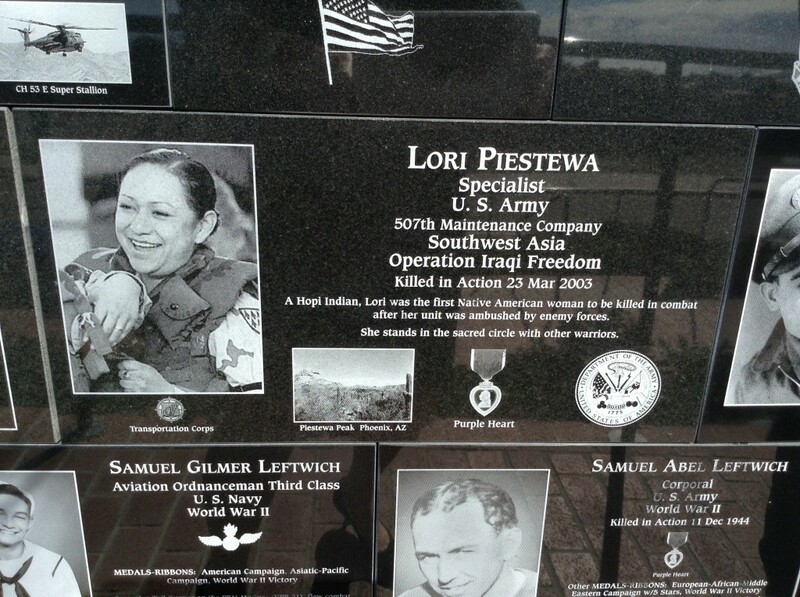 Soledad Cross was constitutional as a reasonable person would understand that the Cross was part of a war memorial intended to honor veterans, not to advance religion or any particular religion. The Ninth Circuit overruled the District Court and remanded the case for a remedy to be ordered. The District Court stated it continued to believe the Mt. Soledad Cross is constitutional, but had no choice but to order it destroyed due to the Ninth Circuit ruling. The Mt. Soledad Memorial Association appealed to the Ninth Circuit, and petitioned the Supreme Court to expedite resolution by granting immediate review. That was declined. Many believe the Mt. 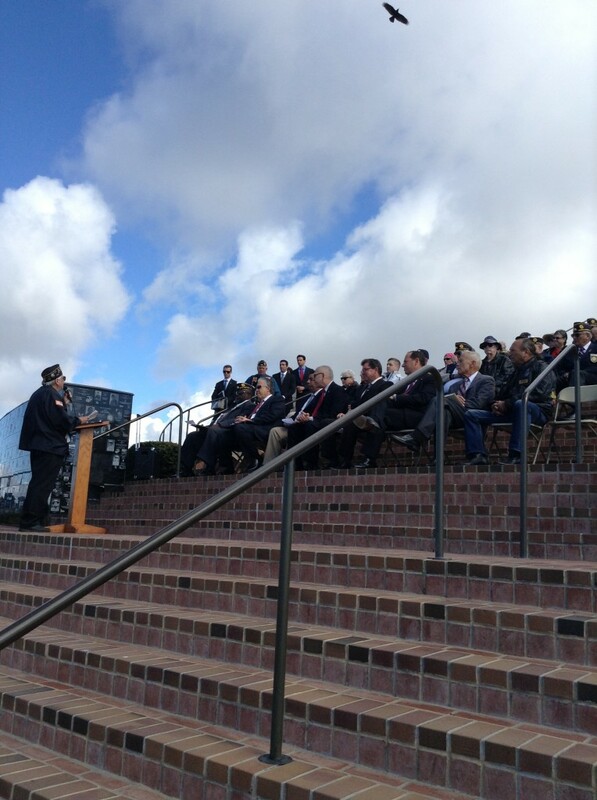 Soledad National Veterans Memorial Cross Case is the most important pending Establishment of Religion Clause case. Final decision by the Supreme Court will set a precedent affecting this and future generations of Americans. What is at stake is whether 300-million Americans will continue to be able to honor their war dead and other veterans as they choose, using symbols of our American history and heritage, including the cross and other symbols with a religious aspect; or whether atheists, agnostics, and intolerant secular extremists epitomized by the ACLU will have a veto power over those decisions because they are “offended” by the sight of the cross. For now, the Mt. Soledad Cross will remain protected due to the stay order until the appeals process is complete. A legislative solution could be enacted in the meantime. However, experience has shown that in order for effective action to be taken by Congress, or the White House, veterans and other American patriots have to rise up and fight for it, or little or nothing will be done. FOR GOD AND COUNTRY FOREVER; SURRENDER TO THE ACLU—NEVER. MOUNT SOLEDAD MEMORIAL ASSOCIATION v. STEVE TRUNK, ET AL. The petition for a writ of certiorari before judgment isdenied. Statement of JUSTICE ALITO respecting the denial of the petition for a writ of certiorari before judgment. This case came before us two years ago, see 567 U. S.___ (2012), and at that time I issued a statement respect­ing the denial of certiorari. I noted that although the“Court’s Establishment Clause jurisprudence is undoubt­edly in need of clarity,” certiorari was not yet warranted inthis case “[b]ecause no final judgment has been rendered and it remains unclear precisely what action the FederalGovernment will be required to take.” Id., at ___ (slip op., at 2, 3). Since that time, the District Court has issued an order requiring the memorial to be removed, but it has stayed that order pending appeal. The Court of Appeals has not yet reviewed that order on appeal. Seeking to bypass that step, petitioner seeks certiorari before judgment. In my view, it has not met the very demanding standard werequire in order to grant certiorari at that stage. In lightof the stay, any review by this Court can await the deci­sion of the Court of Appeals. I therefore agree with the Court’s decision to deny the petition. Supreme Court rules in home family health workers don’t have to pay dues. Blow to SEIU. One of the big power grabs on the labor left has been the conscription of home health care workers into a public sector unions. This includes the–I’ll say it–scam that pays family members to take care of their own needy family members. The state take over of the home health workers was also a gift to the unions–especially the SEIU– which leveraged the deal into more dues and power, sacrificing one’s castle for the union hall. Today, the US Supreme Court said hold up. In an Illinois case, the highest court said home health workers aren’t full fledged union workers and therefore should not be forced to give over union dues. Backed by the anti-union National Right to Work Legal Defense Foundation, the employees had asked the court to upend a decades-old practice that lets public-sector unions collect money from workers who do not want union representation, so long as the money is not spent on political activities. the SEIU and public sector unions union dues out of people taking care of their family members. It was a big price to pay. Hobby Lobby has won in the US Supreme Court. In a closely hewed decision by Justice Samuel Alito, the Supreme Court ruled 5-4 that an organization run by devoutly religious people can extend their beliefs into their organization or corporation. The owners of Hobby Lobby sued after the passage of ObamaCare because the government health care diktats required corporations to cover drugs that cause abortions. Hobby Lobby was already covering contraceptives in their health insurance and objected to the drugs which abort babies in contravention of their religious beliefs. The Obama Administration lawyers argued otherwise, of course. Alito tried to allay their fears that poor women would not get free contraceptives and abortion pills. But this case is shaping up to be another leftist lightening rod in the manner of Citizens United which recognized business owners had the right to give to political campaigns–just as non business owners and, more importantly, labor unions–could. Sadly, four of the five justices ruled religious beliefs end the moment religious individuals open a business and run it in, in this case, a Biblical way. In a dissent she read aloud from the bench, Justice Ruth Bader Ginsburg called the decision “potentially sweeping” because it minimizes the government’s interest in uniform compliance with laws affecting the workplace. “And it discounts the disadvantages religion-based opt outs impose on others, in particular, employees who do not share their employer’s religious beliefs,” Ginsburg said. The case was joined by 50 other companies, including Conestoga Woods, a Mennonite cabinet maker.